New doll something a little different. 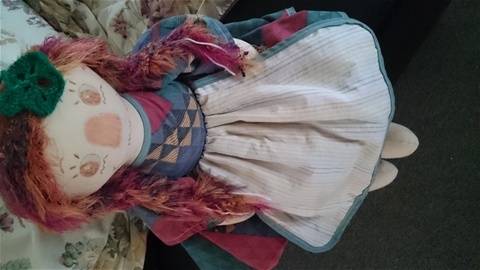 A shelf sitting doll to watch over you. Almost finished just needs some more knitted flowers for her hair then to a new forever home.